The team at Le Vietnam on Barrack St have been on our radar for a while. We have eaten there several times and in fact we were about to post a review stating that there bánh mì was the second best in Perth. Their rolls are hands down the best bánh mì rolls in town. And in a discussion with Lee from Le Vietnam, he told us that they are baked by his uncle and the two of them experimented until they worked out the perfect recipe. The result is a Vietnamese baguette that is lighter than its French counterpart and deliciously chewy while still maintaining the essential flaky quality of a bánh mì. Pair one of these rolls with $4 stuffed chicken wing or Vietnamese pork pastry and you have yourself a seriously impressive $10 lunch! 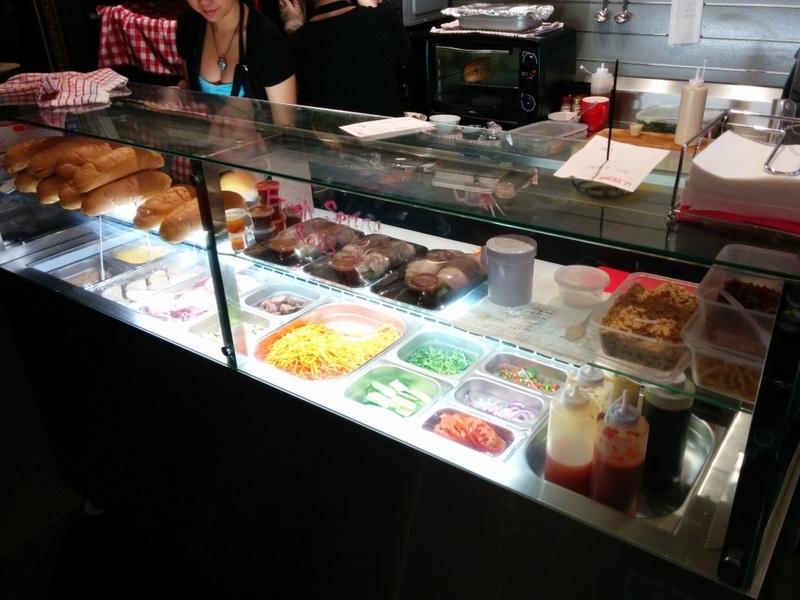 Unfortunately, we had to inform the team at Le Vietnam that, as good as their selection is, they still played second fiddle to the crispy roast pork bánh mì from City Provisions. Turns out that Le Vietnam doesn't like coming in second place! 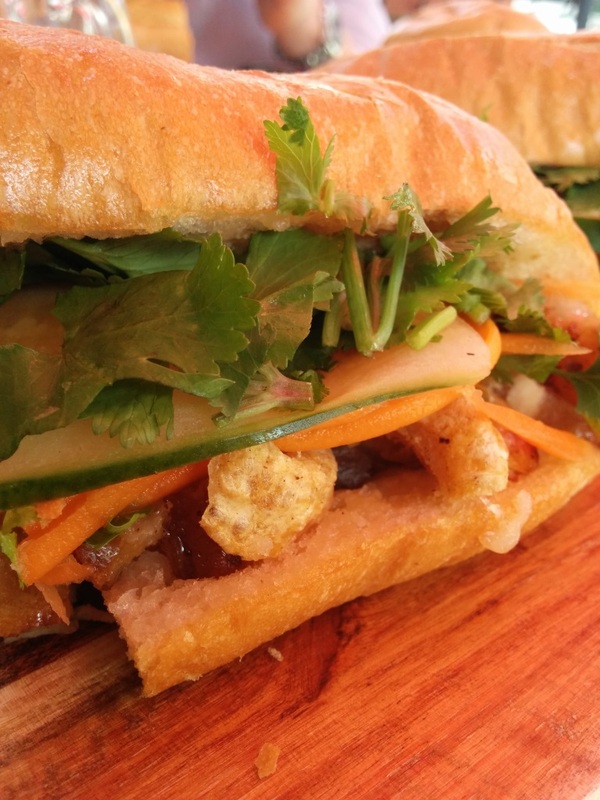 Enter: the Special Bánh Mì of the Week. Le Vietnam decided that they would put together a crispy roast pork bánh mì of their own, and it is ridiculously tasty! In addition to the perfectly baked roll and usual fillings, the special bánh mì contains moist pieces of roast pork and some of the best crackling we've ever tasted. What separates this bánh mì from its rival at City Provisions is that, while the pork at City Provs is generously roasted until reasonably crisp, the crackling from Le Vietnam is removed from the pork and roasted separately to a level of ultra crispiness that is out of this world! Topped off with a hint of plum sauce, it sounds like there is a new king in town! Best of all, this weekly special is called The Pavarotti! We are truly honoured to be have a weekly named after us and enter the esteemed company of our good friend Max Veenhuyzen, whose Max Power bánh mì with pork katsu sando was a hit. Le Vietnam also do a range of delicious drinks such as Vietnamese iced coffee and something called a Milo Volcano, which we are dying to try. 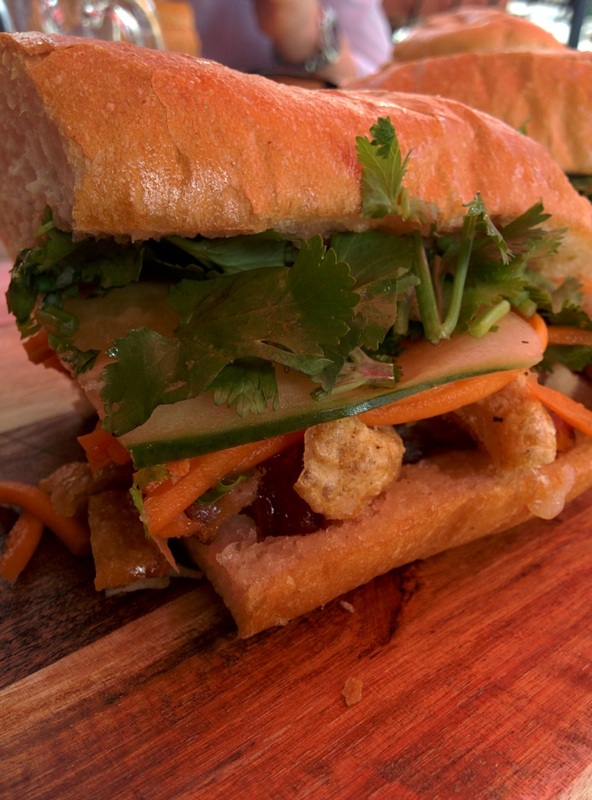 The Pavarotti Bánh Mì will only be available for a limited time, so head to Le Vietnam before it runs out. If the picture of the cracking below doesn't convince you, I don't know what will. Full disclosure: we have delayed this post just long enough to make sure we get there in time!